Agents of the New Order sit at the pinnacle of highsec life; their prestige is immeasurable. Their high status wasn't merely handed to them. They earned it. Our Agents gank tens of thousands of carebears, all without making a mistake. Their accuracy is superhuman, some might say. But our Agents have a secret weapon, something that makes their job so much easier. It's the Code! Follow it and enjoy highsec. If you don't follow the Code, you could end up like Davo 1960, who lost a 1.1 billion isk yield-fit Mackinaw. He never imagined that our Agents would catch up to him. Denial is a powerful thing. Even so, it can be punctured by antimatter. Agents John E Normus, Sophia Soprano, and loyalanon brought some anti-denial with them when they finally paid Davo a visit. Tupac ice was suspected of carrying illegally mined highsec ice. New Order Agents and GoonSwarm members demanded that Tupac stop, but he wouldn't listen. He was AFK. Our heroes were left with no choice but defend themselves with the use of deadly force. 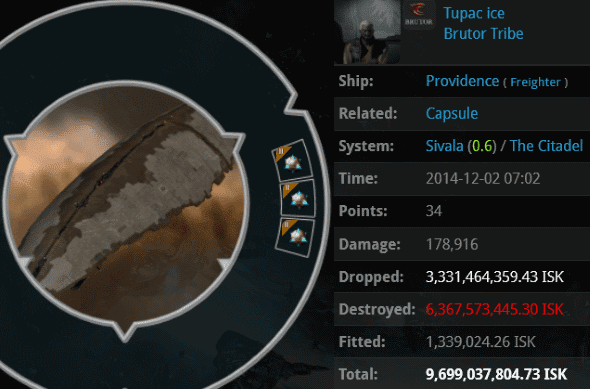 It turned out Tupac wasn't carrying ice after all, but he was still guilty of flying an untanked freighter without my permission. Rehtom Lamina, Turkey Baster, Dungar's Sister, Alexander Mittani, Warr Aikini, Alex Gianturco, Emotion Sasen, Ikolo, Mittani Alexander, eC Cade, Benchab Mas, loyalanon, Immortalis Vitium, Braggs Seyllin, Chocolate Mooses, Lament von Gankenheim, This is Harassment, Gamefowl Deadman, and Jason Kusion upheld the law, and the people rejoiced. Carebears always complain that our Agents shoot ships that don't shoot back. Maybe our targets don't shoot back because they can't be bothered to fit any weapons. AceBeorn was AFK autopiloting in a combat vessel when Agent PV Rock initiated a 1v1 battle. To PV's disappointment, the Kestrel didn't return fire. Oh well. It was fate. The Kestrel carried 10 Retriever blueprints and a Retriever BPO. An illegal mining operation stopped at the earliest possible stage! PreCrime ain't got nothin' on the New Order. Oops! 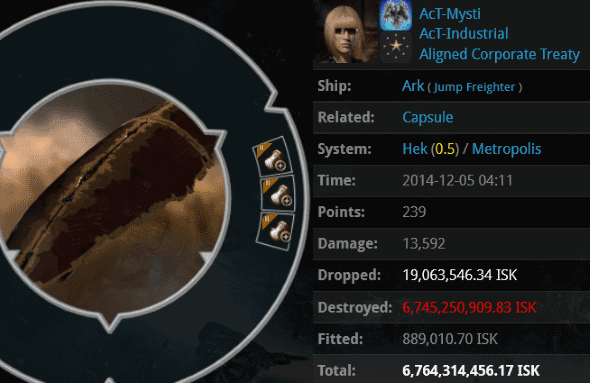 AcT-Mysti flew her unlicensed jump freighter through Hek. She might have assumed our gankers were in Uedama, like they usually are. Assumptions can be deadly, especially when combined with a triple anti-tank fitting. Agents Chocolate Mooses, Capt Starfox, Allannon kado, KeroSama Utama, BeBopAReBop RhubarbPie, Alex Calden, Quaker Oatmeal, Kaiser Itinen, CODE Agent AC, mikal Rotineque, Austin WhetBurson, Lament von Gankenheim, Sasha Cohenberg, The Occidental, John E Normus, Sophia Soprano, and loyalanon blapped the Ark and inspected the wreckage. Our Agents were vindicated once again: More than 6 kilos of Veldspar were discovered. Remember, carebears, whether it's before your illegal mining op or afterward, justice always catches up with you. Time for a pop quiz: What's the most egregious thing about Mewis' Orca, seen above? 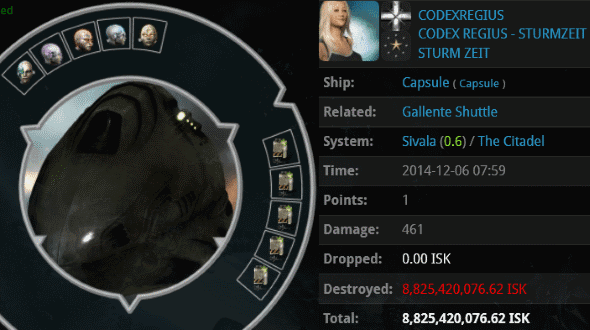 You might say it was the excessive value--over a billion isk!--or the structure tank mixed with anti-tank rigs. You might say it was the lack of a New Order permit. These are all good answers. Here's another: The fact that Mewis already lost an Orca less than an hour and half earlier! Agents Immortalis Vitium, loyalanon, Sophia Soprano, Sasha Cohenberg, Jason Kusion, Braggs Seyllin, Nikko Salters, and Chocolate Mooses blew up the Orca and told Mewis to try again. CODEXREGIUS had a surprise encounter with Agent PV Rock. 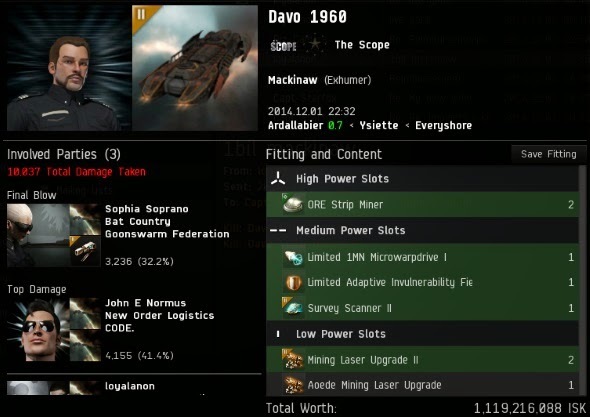 It was a memorable occasion, especially once CODEXREGIUS' shuttle and 8.8 billion isk worth of implants were destroyed. Most of the implants' value came from "Pashan's Turret Customization Mindlink", a rare implant with little associated market data. How much is a Pashan's Turret Customization Mindlink truly worth? More now, I suppose, since there's one fewer in use. But any implant, no matter how rare, is still worth less than the Code. That's another thing for you carebears to remember. From the context, I would imagine his crime was auto piloting through new order space without a valid permit. This is why all high-sec players really need to purchase permits and remain at their keyboards, as the savior himself wills. Anything else is just a poor idea. Indeed sir. Any eve player has the right to live outside the code if they wish. They simply need to move outside of hisec to do so. Those who choose to live in hisec are implicitly subject to the code. A code agent would give due deference if they were to traverse nullsec or lowsec, thus due deference should be given to the code in hisec. She was clearly a criminal otherwise an honourable agent of the New Order wouldn't have shot down her pod. Pirates do it for the money. And here we have the common CODE members, there lack of common decency drives them to the compulsion that they need to dictate of people play or act in a Video game. Someday, if you play long enough, you will realize that CODE. are actually the Good Guys, the miners are the Bad Guys, and that James 315 was right all along. 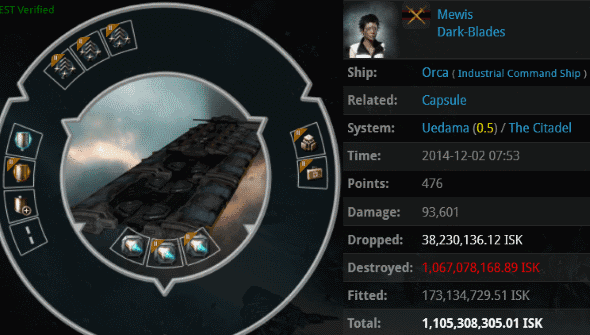 Unlike carebears whining for One More Nerf™ from CCP in order to dictate everyone else's play, the New Order does not dictate how you play nor do we go crying to CCP. We simply inform you of your options and the consequences from those options. You are free to choose how you play and whether or not you buy a permit. Gallant knows, however, the smart money is on buying a permit!